You must be a member of the London Book Group to attend this activity. Would you like to join this group? In a city with so many economists, bankers and finance experts, it's high time we read a book about investment. We can (and should) critise it as we please. 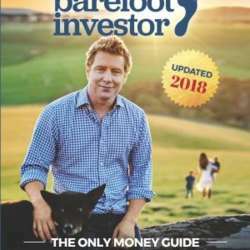 "The Barefoot Investor: The Only Money Guide You'll Ever Need" by Scott Pape has been described as "The only money guide you'll ever need" (not pretentious at all!). It apparently gives the reader a step-by-step formula: open this account, then do this; call this person, and say this; invest money here, and not there. Do bring all your expertise about the topic (or lack thereof). We will be discussing the book at one of the best cultural centres in the UK, a controversial one when it comes to its arquitecture, and one of my favourite places in the City of London. If you have never been, try to arrive earlier and explore the London Walls nearby.